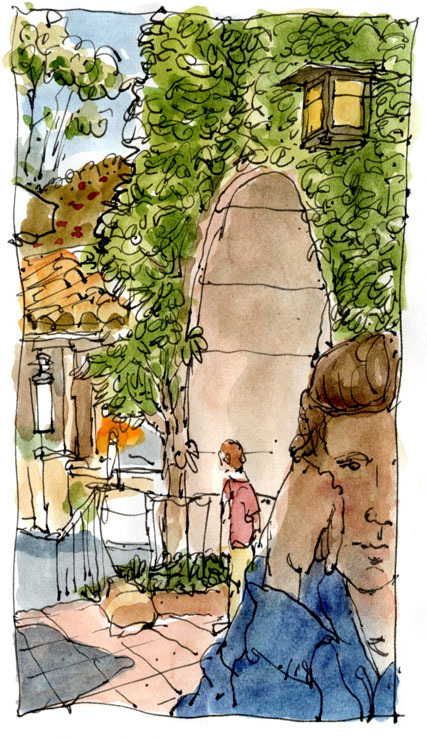 A couple sketches from a recent visit to Disneyland with my cousin Monica and our whole family. Very fun. I think it had been four or five years since we’d all been there at once. We waited to meet my cousin at the Grand Californian Hotel, which was spectacular. 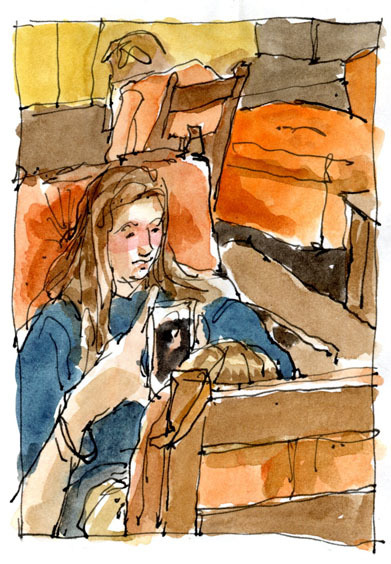 In the sketch above, our oldest daughter is taking a picture of our youngest daughter on her phone. Then we had a tasty lunch at the Italian restaurant just outside the theme park. It was nice to relax and draw for a bit before going into the park itself. It wasn’t too crowded either which was a pleasant surprise.